The history of winemaking in the Renzoni family dates to 1886, when Robert’s great grandfather Federico began working in the vineyards near Fano, a small Italian village on the shores of the Adriatic Sea. While working in the vineyards, Federico and his father began making wine for family and friends. At 18, Federico immigrated to America and after two years working as a commercial Fisherman in Connecticut, he decided to relocate to Buffalo, New York in 1914, where he entered into the cordial business with his brother-in-law, Romeo Battistoni. Unfortunately, that venture was short lived, as they were forced out of business by the advent of Prohibition in 1918. After successfully operating a construction business in the intervening years, Federico and Romeo returned to a variant of their first business venture together when Prohibition ended in 1933, this time in the form of a wine distributing business. Robert’s grandfather Domenic joined them in 1934 and together they began importing wines from Italy and France. It was at this time that the trio began doing business with a number of Italian immigrants who had settled in California. These immigrants would go on to become some of the more famous winemakers in California, and included August Sebastiani, Lorenzo Cella (Roma Wines) and Cesare Mondavi (Charles Krug). Named for his great-grandfather Federico, Robert’s father Frederick assumed control of the family business, then known as Italian and French Wine Company, in 1972. The business prospered as a wholesale wine and liquor distributorship and eventually covered all of Upstate New York. As young adults, Robert and his brother spent many hours working there. Robert formally entered the business in 1989, spending five years in various roles, the last of which was in the sales department. In 1994, the family decided to exit the rapidly consolidating wholesale business and the business was sold. In 1996, Robert opted to relocate to California, and worked in the wine and liquor industry in Los Angeles for several years. After many years apart, parts of the family were once again reunited in Temecula, when Robert and his parents each moved here in 2004. Once here, the muse of winemaking again beckoned. 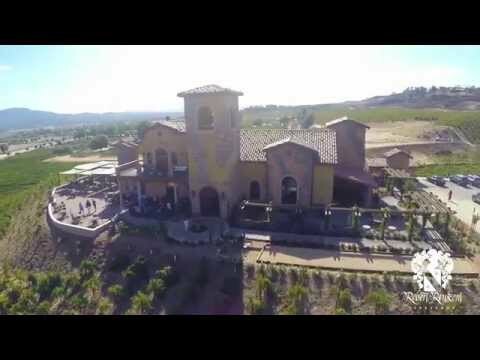 They purchased a beautiful property on De Portola Road in Temecula, and supplemented the existing vineyards with additional plantings in 2006. The Robert Renzoni Vineyard & Winery of today is a tribute to Federico, Romeo, and Domenic. Amenities: Tasting room open 7-days a week. Outdoor patio seating overlooking vineyard. Live music.